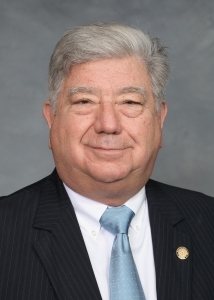 Sen. Bill Cook, a Republican representing eight counties in northeast North Carolina, asked the rhetorical question of Sen. Dan Bishop, a Mecklenburg County Republican supporting a controversial state House-approved bill that would potentially clear town-run charters in several Charlotte suburbs. The local bill, which opponents argue to have statewide implications, survived—passing by a 30-20 margin—despite concerns that it may only exacerbate segregation concerns in the state’s second-largest school system, Charlotte-Mecklenburg Schools (CMS). It’s also tied to a major budget provision that would grant municipalities the power to spend tax revenues on public schools, a likely boon for the charter effort in Matthews. “I am not a racist,” replied Bishop. 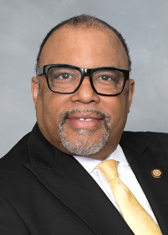 Later—when quizzed by Sen. Gladys Robinson, a Guilford County Democrat, about his line of questioning—a miffed Cook teed off on opponents of the charter bill. But it’s not about intent, argued Durham Democrat Floyd McKissick Jr., the son of a civil rights leader in the Triangle city. It’s about impact. Sen. Paul Lowe, a Forsyth County Democrat, explained his reasons for voting against the legislation. “It’s a bad bill, but it’s a marvelous way to re-segregate schools,” he said. 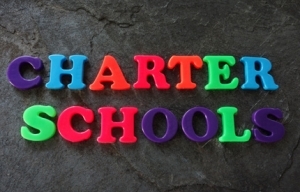 The bill—which also allows for the municipal-run charters to grant enrollment preference to residents—earned detractors on the right and the left, with some Republicans questioning the precedent of allowing a town-run charter. Other municipalities would seek the same power, they argued. But supporters insisted that the proposal was supported by local government leaders in the municipalities it affects—Matthews, Huntersville, Cornelius and Mint Hill. The Matthews-CMS feud has been ongoing for years, with leaders in the Charlotte suburb seeking more power in the school system and a guarantee that the district won’t re-institute forced busing to address segregation concerns. At least one lawmaker suggested Thursday that the bill was a “shot across the bow” for CMS, indicating that the district would have to be more responsive to Matthews’ concerns. CMS officials, however, have maintained that a split with Matthews students would be bad for diversity and the efficiency of local schools. Senate lawmakers must still vote on the proposal one more time. Senate President Pro Tem Phil Berger said he expects the measure to return to the Senate calendar Monday.